Mierce Miniatures is at it again. 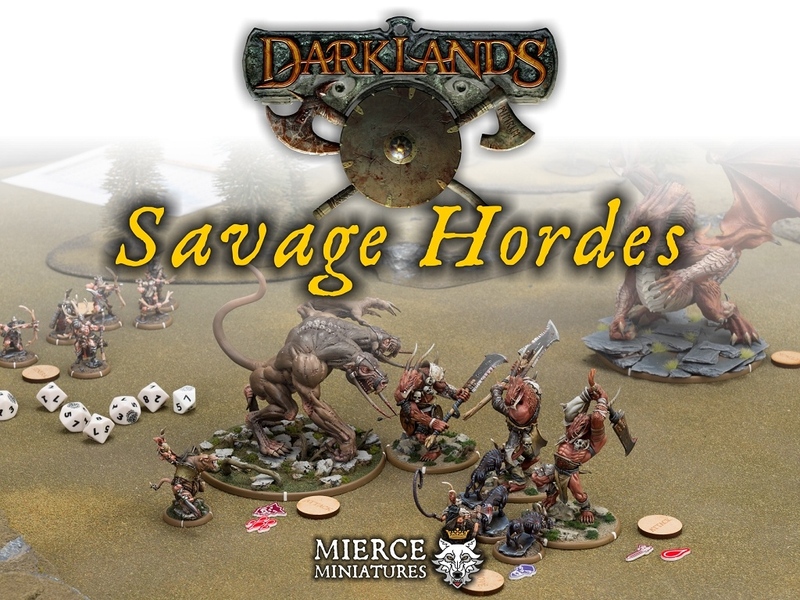 With most of their previous Kickstarter minis available for general release, they've got a new Kickstarter up and running for another Darklands expansion. This time it's the Savage Hordes, minis mostly armed with missile weapons to reach out and touch the enemy troops at range. Of course, for Mierce Miniatures figures, I'm glad I just would have to type up the names and not actually pronounce them out loud. There's several different sets you can choose from among the couple factions being Kickstarted. There's also the rulebooks, past and present, and dice (because you can never have enough dice). The campaign just launched and is already close to their funding goal. So it's looking like it'll be breaking into stretch goals during the rest of its 19 day run.